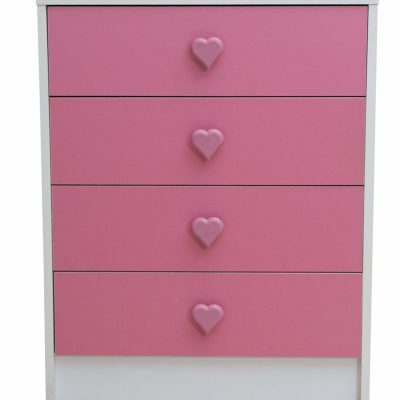 See our stunning range of kids chest of drawers. We have the style and options to suit your child’s bedroom. 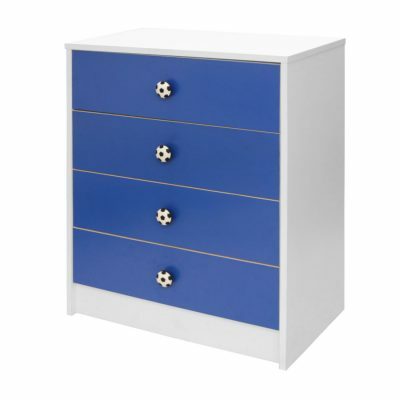 Available in all white with either 4 white or pink drawer fronts with a choice of pink heart handles or red / blue drawer front with football handles. 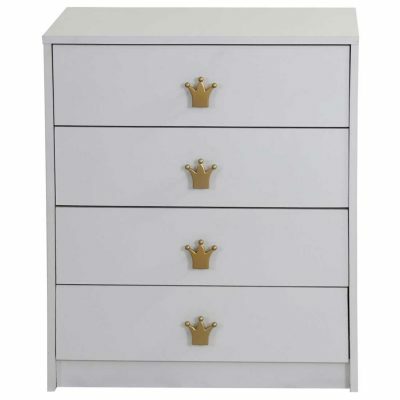 All chest of drawers come with four good-sized drawers, capable of holding items safe and secure and keeping items crease free and ready for use. We designed chest of drawers with safety and security in mind, the drawers are fitted onto secure easy glide metal runners.